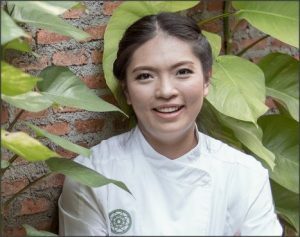 Bangkok (Thailand) – March 6, 2018 (travelindex.com) – This unprecedented gathering of 15 top female chefs from Bangkok and beyond will be an epic culinary adventure from 10am to 5pm; a full-day of chef talks, presentations, panel discussions and plenty of food tasting (15 courses)! Each of these amazing chefs will each present on dish for tasting, and will tell the stories behind the dishes. The forum will be followed by a cocktail party at the Zuk Bar where guests can mix and mingle with the chefs over drinks and, yes, more food.